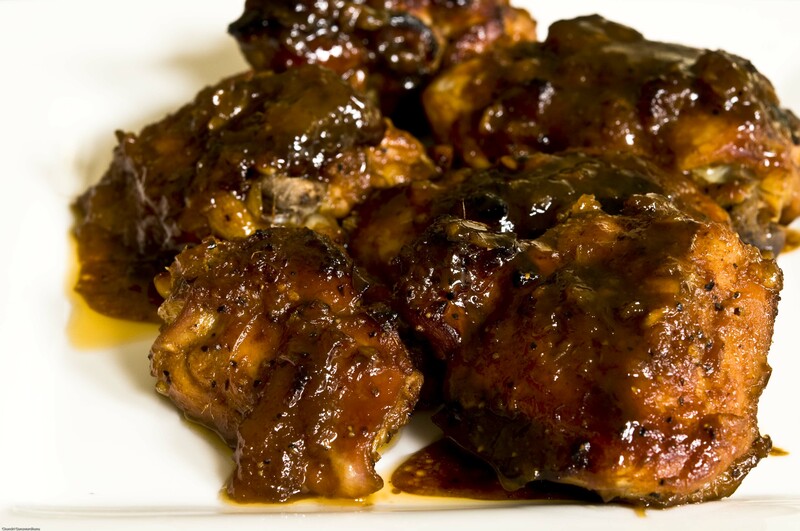 A few chicken thighs or drumsticks, mango chutney, ground ginger, garlic, salt & pepper, soy sauce and tomato ketchup is all that is required to make a special dish. Combine all ingredients together. Bake at 200 degrees Celsius for around 30 to 35 minutes or until the juices thicken. This is a quick dish to prepare and once it is done, a stunner to the palette guaranteed! It could be served with steamed rice, vegetable curry and lentil curry as an eastern themed meal, or with grilled vegetables, mash potato and garlic bread for a western theme. Chutney chicken has been very well appreciated by my guests, and a recommended party enhancer. Good luck!